A still camera on a sound trigger captured this intriguing photo of an airborne frog as NASA’s LADEE spacecraft lifts off from Pad 0B at Wallops Flight Facility in Virginia. 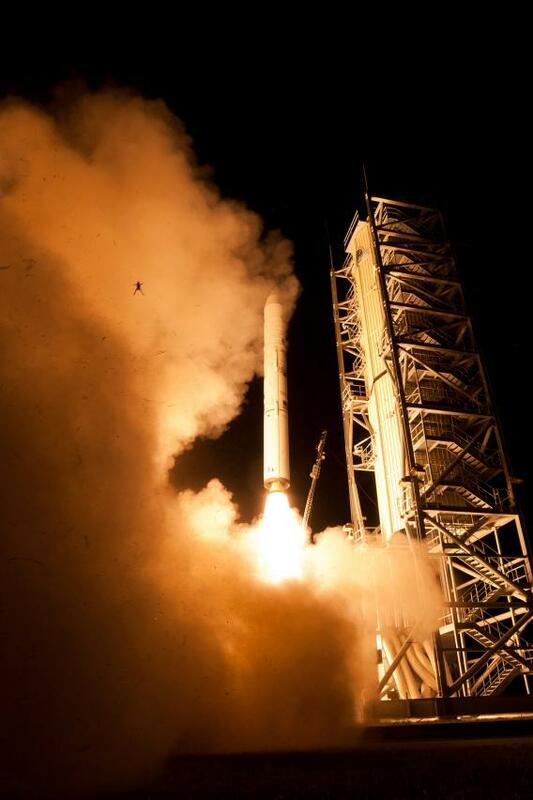 The photo team confirms the frog is real and was captured in a single frame by one of the remote cameras used to photograph the launch. The condition of the frog, however, is uncertain. Sorry, I have to say it: That’s one giant leap for frogkind.